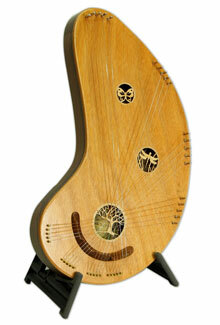 I just got a catalog from Musicmakers (http://www.harpkit.com) with some very unusual instruments on the cover. I believe that they started out making harp kits. Now they've expanded to many other kinds of string instrument kits. I love their slogan: Making sawdust since 1978. As a banjo player I'm actually less impressed by their banjo kits than by most of their others. 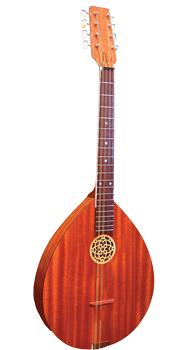 But if you do the renfest circuit, accompany Shakespeare plays, or participate in other period reenactments, you'll find a wide range of suitable, REALLY old-fashioned-looking instruments in their catalog. This from a fellow who has seen Martin Backpackers used in Shakespeare plays, Boars' Head Festivals, and many others because they don't exactly look like guitars. Down the hill from us is an annual period reenactment - "Fair at New Boston," who have much more rigorous standards. I wouldn't probably get away with a Backpacker there. 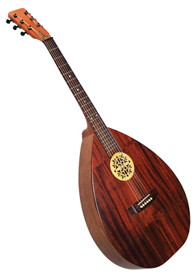 But there's a number of Musicmakers instruments that would fit the bill just fine, including psaltries, lyres, dulcimers, and octave mandolins. A few of the kits look JUST simple enough for me to build. Others look like I would be better off getting a second job delivering pizzas to make extra money and paying them to build them to my preferences. Here are just a few. If you go to their site, order their catalog - it's easier to navigate. Musicmakers also offers some "airy-fairy" looking instruments that would probably be fun to play, would work well for folks who can't play anything, and would fit right into the Southwest Ohio Renfest, where visitors show up in everything from fairy wings to Jedi costumes. 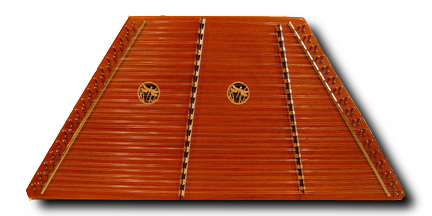 Here's one, the "Chord Harp"
Too bad Spock didn't have one of these to play in "The Way to Eden"
Here's the link to this instrument since they don't have a link to it from their home page yet. BTW, they also offer FREE plans for a number of instruments. Some are so simple, I could build them. They also sell hardware-only kits for the more complicated ones.